Each one of these handy little tablets can clean up to two cartridges within 25 minutes! No more harmful chemicals splashing up on clothing or skin. 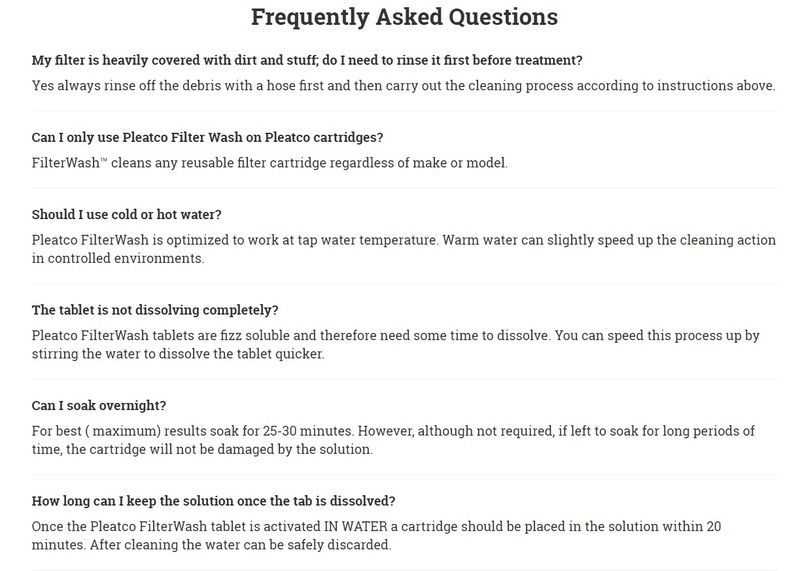 Now the dirty cartridge water can be disposed after cleaning without harming the environment! 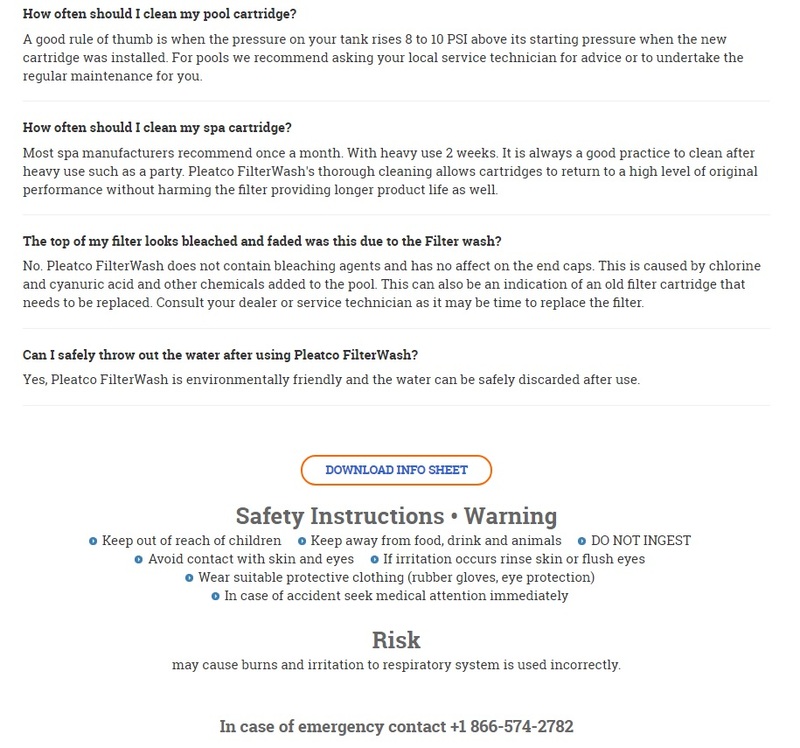 Use one tablet each time you clean your filter. 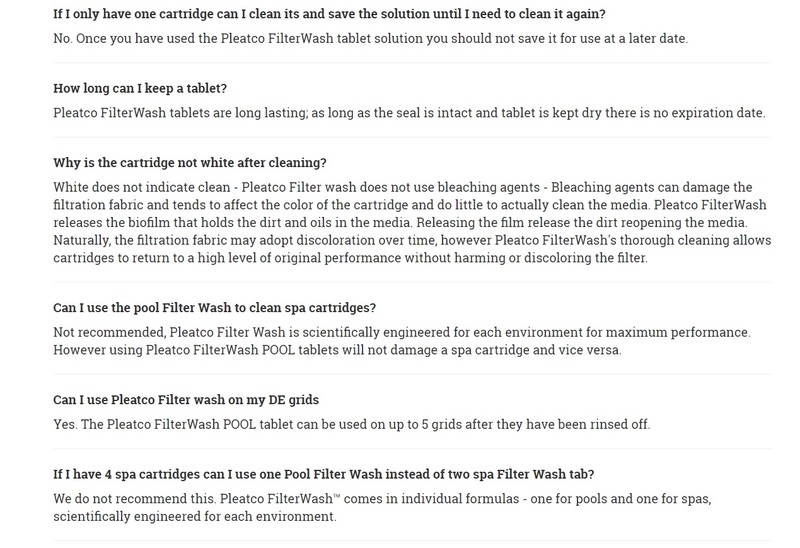 Pleatco Filter Wash Tablets for Hot Tub & Spa Filters can handle any size spa cartridge. 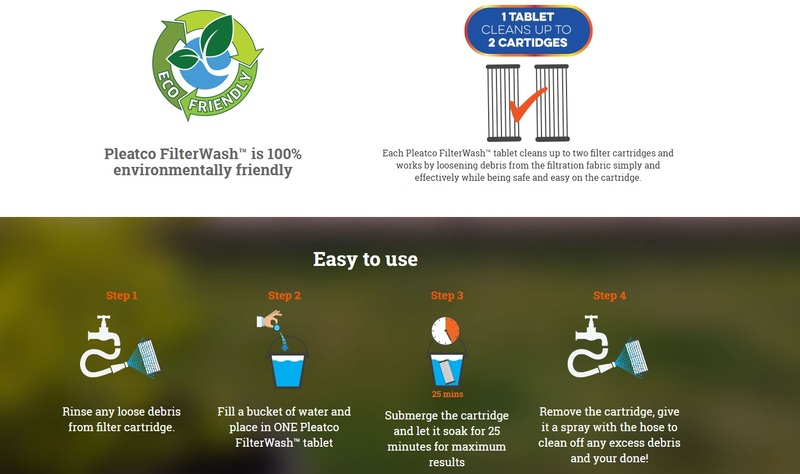 Have some tablets on hand when you have troubling algae or cloudy water...or just use for routine cleaning. Just remove your cartridge, hose it off, and then place it in a bucket of water. Drop the tab in and wait for 25 minutes while it works it's magic. Then, rinse your cartridge off with a garden hose. DONE! Simple. Fast. Effective. Always clean spa cartridges monthly.